When you’ve invested in a Maserati, it’s key to maintain your vehicle with routine auto service. That’s why the Schaumburg dealer service team at Zeigler Maserati of Schaumburg is prepared to assist you in keeping your vehicle in top shape by offering a slew of service specials. From oil change to brake replacement services to tire care, our technicians are here to help. After you’ve reviewed our Maserati service incentives online, come down to Schaumburg for routine maintenance or major repairs. Top-off all fluids, set tire pressure, and wash and vacuum vehicle. Must present coupon at time of service write-up. Cannot be applied to any other discounts. See service advisor for details. Leaving your Maserati SUV for service at Zeigler Maserati of Schaumburg brings confidence to Bartlett drivers who want to ensure their vehicle is in the hands of those who know how to keep their Maserati in good form. Not only can our technicians handle Maserati Quattroporte service, but service for all sorts of Maserati vehicles and other cars, trucks, and SUVs. Each vehicle brought in for service is handled with care with the help of our experienced service staff. From transmission tune-ups to diagnostic checks, you can count on our team to offer stellar results for a fair price. We also make scheduling service simple by offering a service scheduler online. 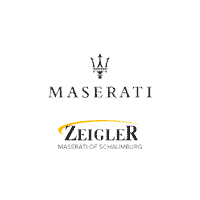 Keeping your vehicle up to date on service is a breeze with Zeigler Maserati of Schaumburg. If you’re ready to take advantage of our auto repair savings, contact us today.